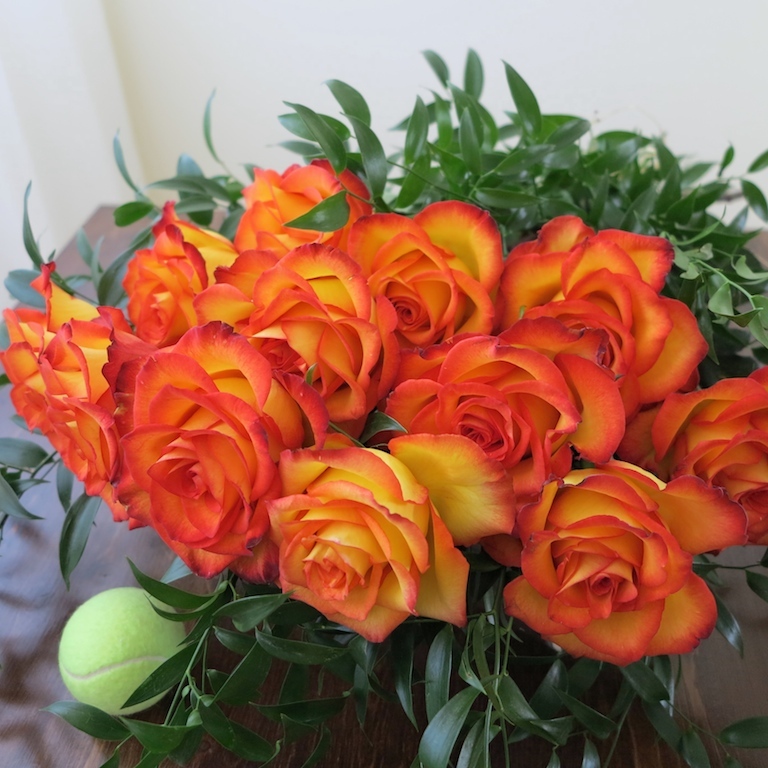 Bouquet of twelve long stemmed orange roses & greens, gift-wrapped, no container. 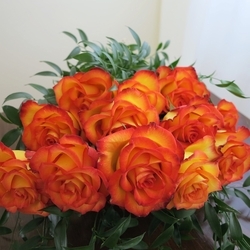 To see the varieties of roses we carry please check flowers in our cooler. Recommended as: Valentine's Day roses, Birthday flower bouquet or Love and romance gift. Flower delivery in Toronto and GTA. Enjoy mobile and online shopping at top Toronto florist. If you need assistance please contact us. We offer downtown Toronto flower delivery.